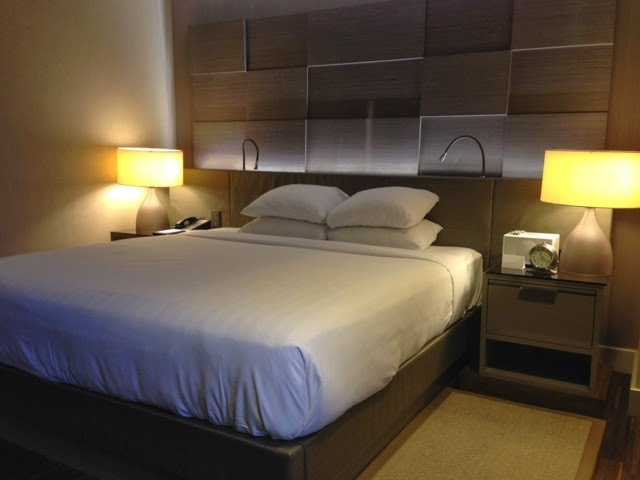 A few weeks ago i had the chance to spend a night at the Grand Hyatt in New York City. I got a pretty good rate of $120 (including all tax) using travelpony.com. 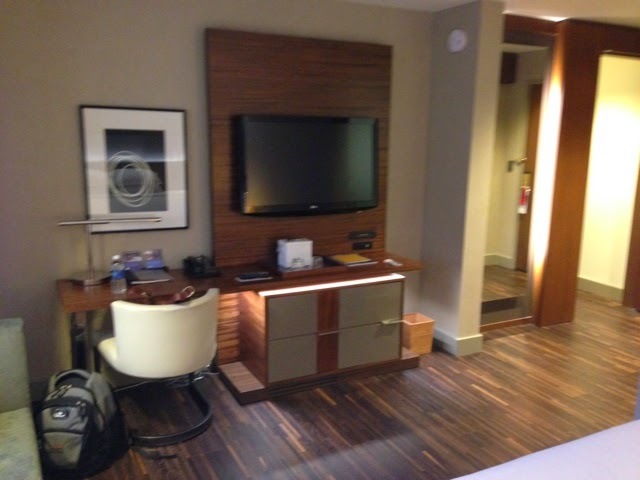 Check out my post on using travelpony here. 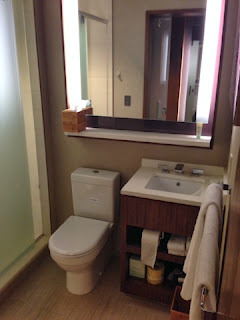 Hotel: The lobby and public spaces are very nice and spacious. 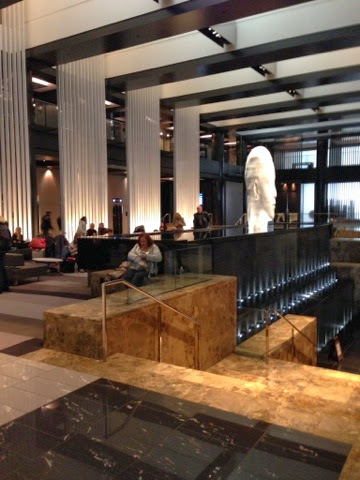 The decor is quite interesting with 2 giant head sculptures and a waterfall in the lobby. Check in was quick and easy. As a Hyatt Platinum Member I had access to the elite check in area which had no line compared to the 7 or so people waiting in the general line. I was offered a bottle of water on check in. One major issue I had with the hotel was at checkout. We wanted to leave our luggage and were charged 3$ a bag. I had asked about Club access on check in but was denied, oh well. 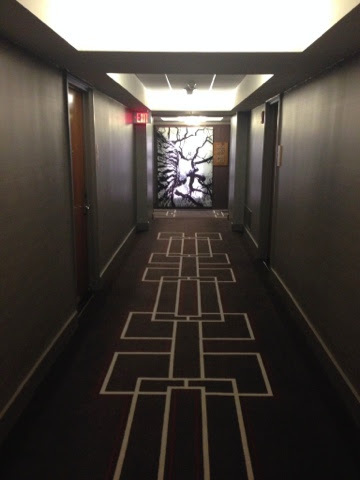 Room: I really liked the design of the room. 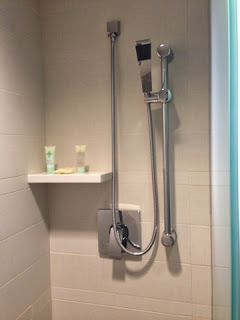 It was clear that it was recently renovated. 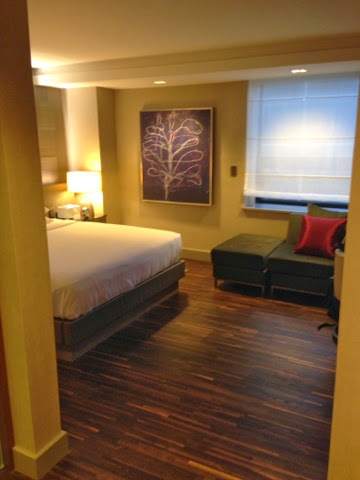 I especially liked the hardwood floors and the lighting behind the bed. I think we were upgraded to a deluxe room, but I'm not 100% certain. The room had a very large walk in closet which was about as large as the entire bathroom. Another interesting feature of the rooms were the light switches. 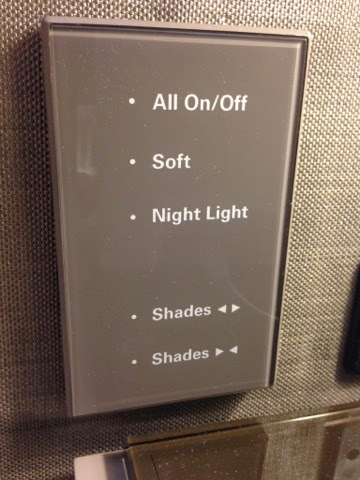 They were all touch activated and you could turn all the lights off/on from the switch beside the bed. Overall Impression: I thought this was a very nice hotel, and I thoroughly enjoyed my stay. The only real issue I had was being charged to leave my luggage. 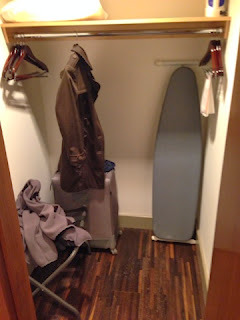 Maybe its just me, but i believe that if you are a paying guest you should be allowed to leave your baggage for free.